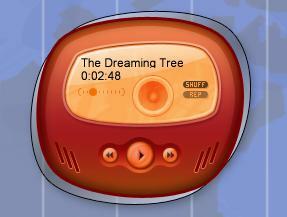 A DX media player to match Hippy's Caprice WindowBlinds skin ( Link ). Minor, minor update to add Alt+click functionality (only first 25 downloaders before the update was made). I just tried this one (as well as one i have been working one) and it doesnt seem to find anything to play from Windows Media Player V10, any ideas as to why? It works fine on iTunes. Thanks soooo very much for looking into this for me.! !